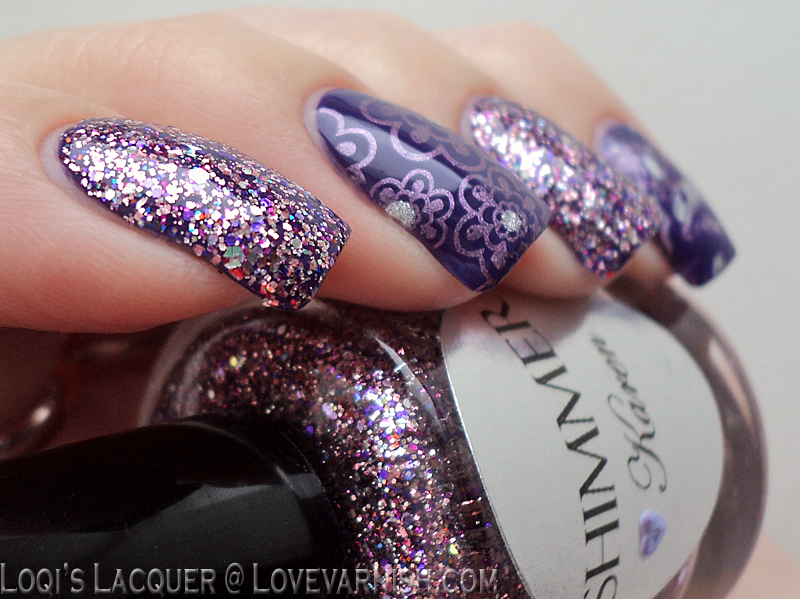 I've got another 2 gorgeous shimmer polishes for you this Monday! 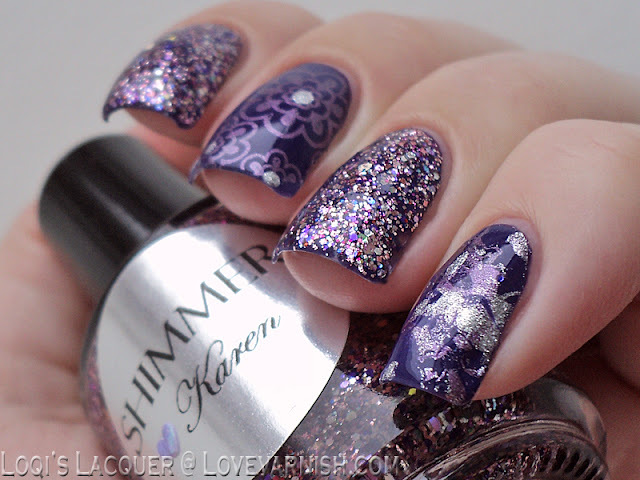 First up is Karen, a beautiful purple glitter mix. 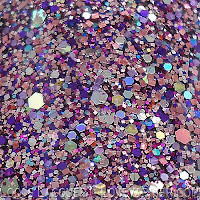 It's made up of lilac, purple and holographic glitters in different shapes and sizes. It's a bit sheer to wear on its own because the base is clear, so I thought I would wear it over Kiko - 333 brilliant violet, which is the same colour as the purple glitter. 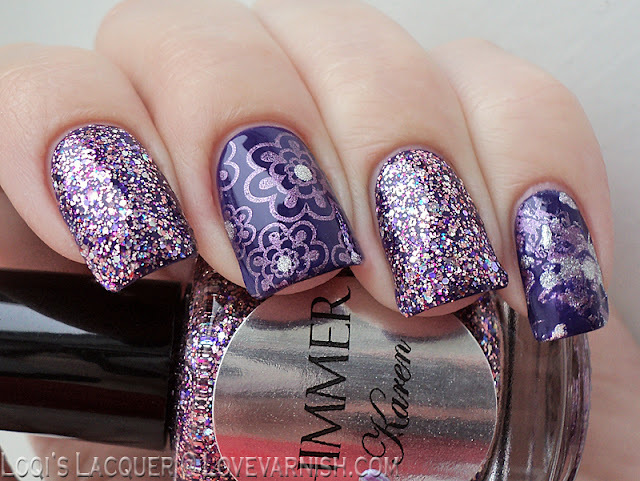 I really liked the mix and match manicure I did with Valerie, so I decided to give it another go :) This time I did some stamping and a splattered nail with China glaze Harmony and Hema 11 (a silver foil). The stamping plate was bm-321. I really like Karen. 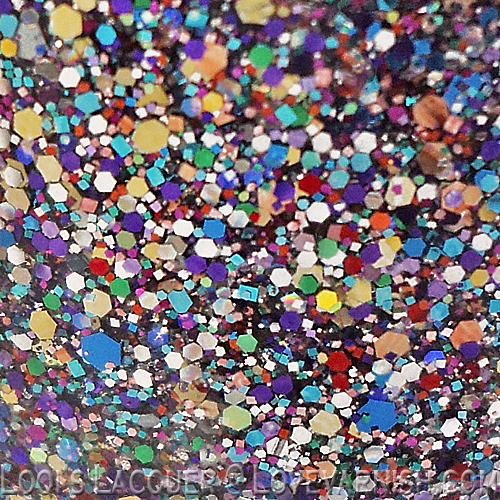 The colours really speak to me, and the sparkle is great! 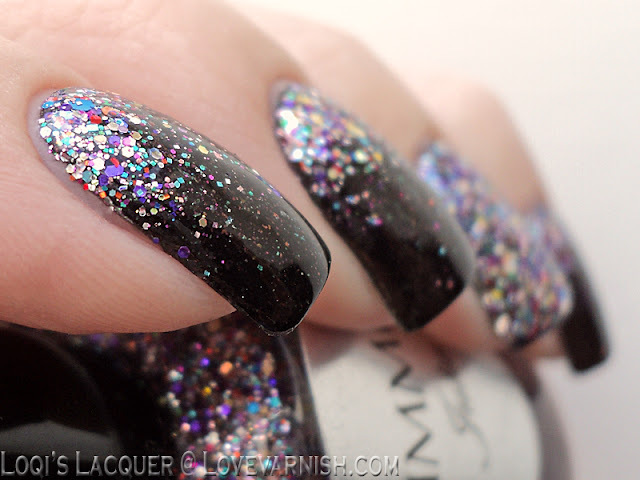 I also don't mind a clear base with glitters, as I usually layer them anyway. 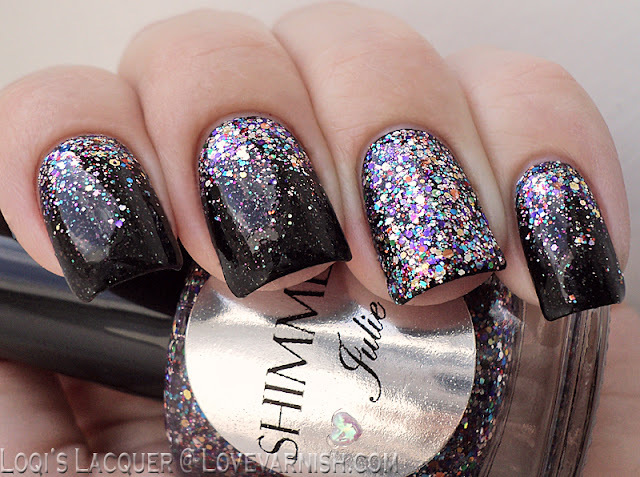 Next up is Julie, a clear base with a fun mix of every colour except black, but predominantly silver and purple. I thought this one would look great over black, but when I was picking one my eye fell on I wear my sunglasses at night from Catrice, a pretty black with tiny purple and green sparkles. So instead of just painting Julie over a black base, I did a gradient so that the glitter would flow over into the sparkles from the Catrice polish! I really love the result. It's very bling and showy, but not too much so. So what do you guys think? 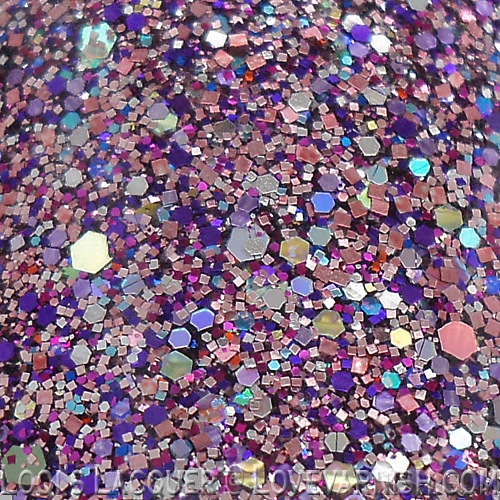 Have you seen any must have Shimmer polishes yet? Are you curious to see the other 6 I've got to show you? Stay tuned, they are coming up! Oh man, every Shimmer I see... I need! Wahhh! LOL So lovely! These manicures are just fabulous! I can't find my word...I just LOVE them (seriously)! Oh my! Thanks so much! :D I am glad you like them, thanks! 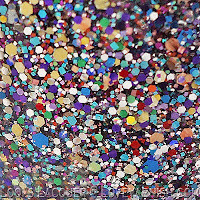 I usually don't like any glitter, and this is well known. 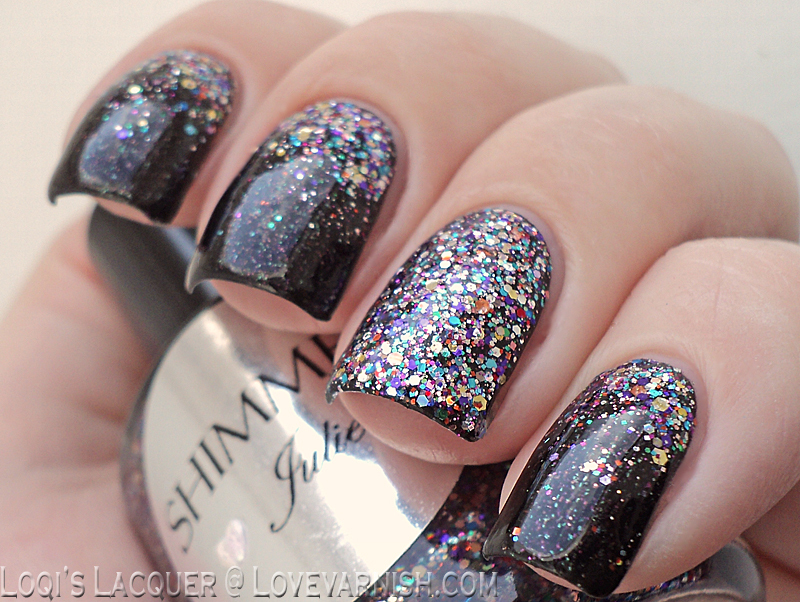 You're making me definitely drool over these Shimmer *__* Your manicures are awesome!